From the latches on our kitchen cabinets to the magnetic strips on our credit cards, we take magnetic forces for granted every day. Magnets are a relatively new technology, although people have remarked on naturally-occurring magnets, or loadstones, for hundreds of years. 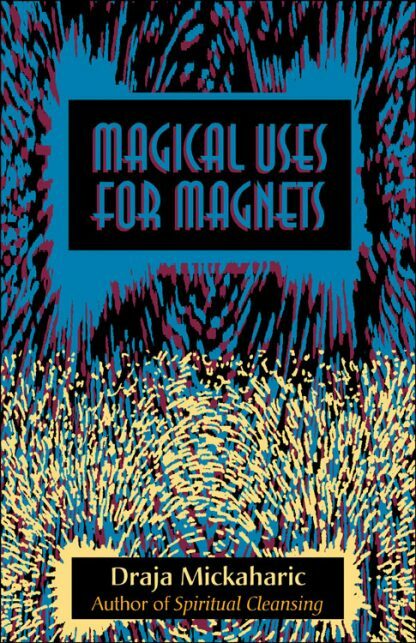 Mickaharic, in his inimitable, no-nonsense style relates the history and folklore of magnets and how they work, and explains several practical uses including improving fuel combustion, descaling water, and charging water for better plant growth. Most of his book is devoted to explaining how the attractive power of magnets can be harnessed in spells and vibrational healing. Mickaharic also includes an interesting biography of the flamboyant Antoine Mesmer that rectifies the misunderstandings around his so-called discovery of "animal magnetism" and initiation of the practice of hypnotism.